This first one requires an attitude change. While I think I’ve made some progress in this area (with the help of pharmaceuticals), I still have a ways to go. The second and third resolutions are more action-based. As a control freak, one of the challenges of getting older is realizing all that I can’t control, but these resolutions help me focus on the things I do have control over. However, if you’ve learned anything about me it’s that Stormy is never content to merely stay the course. 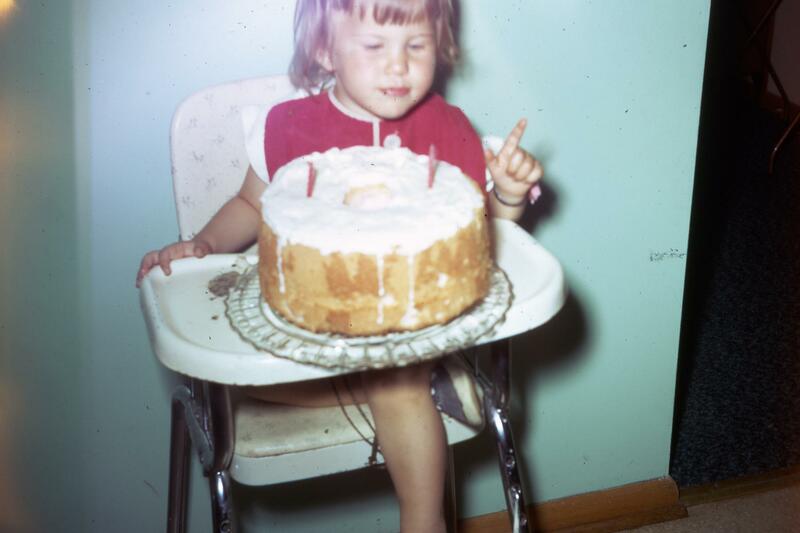 2015 will be a significant year for me because I was born in 1965 (you do the math). If you think KitKat was a little wigged out over turning 45, that’s nothing compared to the massive denial that I’ve been experiencing. Such a momentous event, coupled with my unresolved empty-nest syndrome, has led to the Mother of All Mid-Life Crises. Taken just after a really impressive spin…trust me! A month ago, I was at a party talking to a friend who lives out of state. She had found herself unemployed about the same time her father’s health declined, so she moved back to the Midwest and spent a couple of years taking care of her elderly dad. After his death, she returned to California to reinstate her former life and find a new job. During this process, she adopted the above philosophy—to Just Say Yes to any invitations, ideas, concepts and be open to whatever life had in store for her. As we were talking, she was waiting to hear about an exciting job opportunity that she probably wouldn’t have heard about if she hadn’t said “yes” to an invitation she otherwise may have turned down. I mentioned I was feeling at a crossroads myself and had adopted a similar philosophy toward my future. And so far, JSY has yielded some interesting results. It’s led me to discover paddle-boarding, start a gourmet dinner club and even take some pole dancing classes. Trust me, despite the stripper pseudonym, that’s something that a younger version of myself never would have considered doing. (Fortunately, my husband is very supportive of all my craziness. When I was thinking about backing out of the “free” introductory class, he encouraged me with, “You have nothing to lose but your dignity.”) I plan to ratchet it up a notch in 2015, so look out. I was visit ing my favorite hairstylist this week, and we were talking about how this is one of the hardest lessons to learn—acceptance—but it’s also one of the most critical. 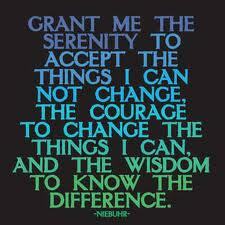 Despite all we can control and change in our lives, there are certain things we just cannot do. We can influence our health by making smart choices, but we can’t safeguard ourselves against heart problems, cancer or Parkinson’s Disease. We can choose to treat people with kindness, but we can’t make others love us. And we can try to be good sons and daughters, but or we can’t keep our parents from aging. Yet, I know that the happiest people are those who learn to accept the cards they’re dealt—especially when no other options exist. So that’s my overarching goal for the coming year: To accept 2015 and all the change it will inevitably bring… while still saying “yes” and having a little fun along the way. Here’s wishing you all a year of acceptance, discovery and peace! This entry was posted in Attitude, Getting older, Health/fitness, Hobbies, Home, Random and tagged acceptance, new years, paddle board, pole dancing, resolutions, serenity. Bookmark the permalink.